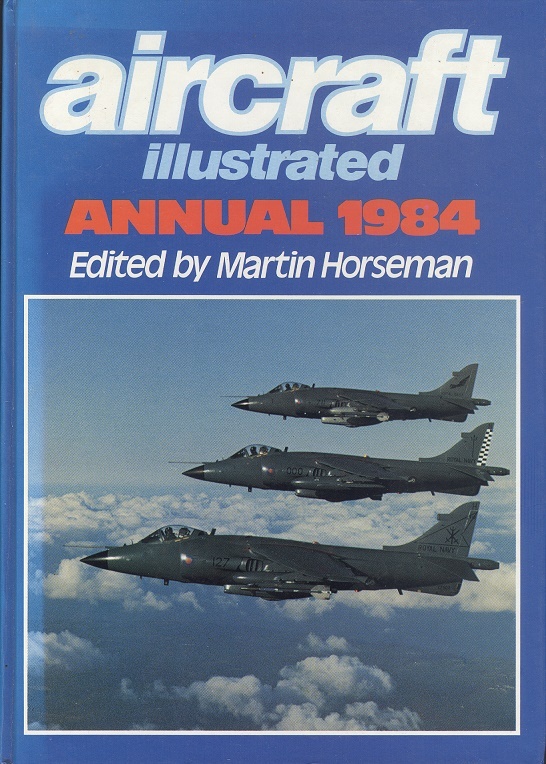 Aircraft Illustrated Annual 1984. Martin Horseman. Ian Allan, 1983. 1st Edition. ISBN: 0711013055. 128 pages, 475g. Pictorial laminated boards with slight lean to spine, and sun faded to top edge and spine. Very Good. Illustrated with b/w and some colour photographs.